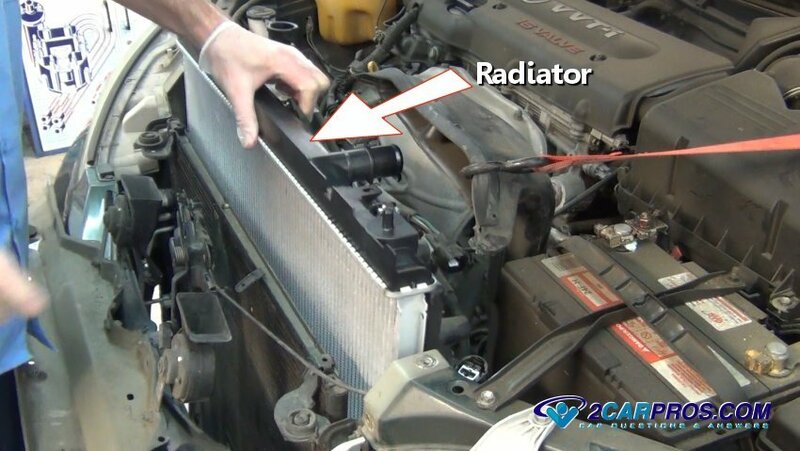 Step 1 - An automotive radiator is at the heart of a vehicles cooling system and keep an internal combustion engine from overheating avoiding catastrophic failure. Radiators are manufactured in all shapes and sizes, depending on the space constraints and requirements of the vehicle's design. A large vehicle such as a truck will have a multiple-row high capacity radiator while a small vehicle will have a much smaller radiator with less capacity. 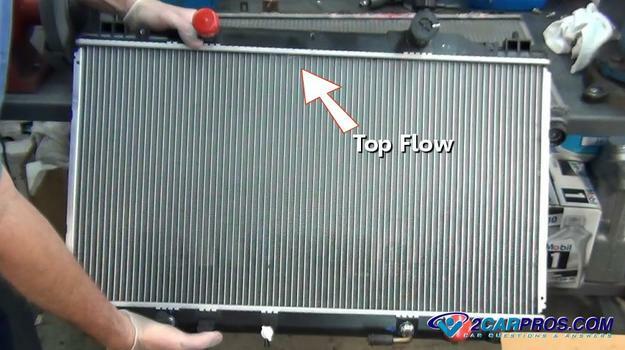 Step 2 - There are two different styles of radiators used in the automotive industry; cross or top flow. A top flow radiator takes hot coolant and cools it as it flows downward. All radiators have small coolant tubes which have fins attached to them that act as heat syncs and dissipate heat through convection and air flow through the front of the vehicle or a fan pulling air through the radiator. The more fins per square inch, the more efficient the radiator is at dissipating the heat and keeping the engine cool. Step 3 - A radiator cap is used to add coolant to the system and it provides an inspection port for maintenance purposes. 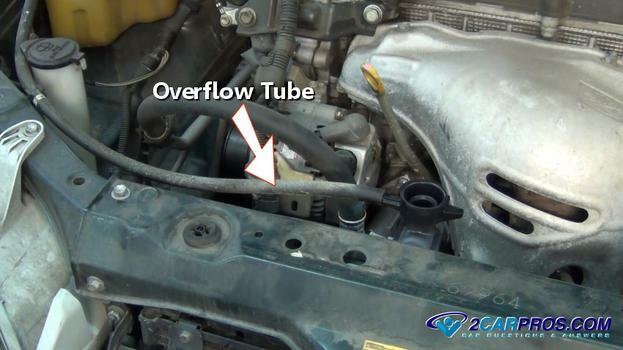 Step 4 - An overflow tube is used to transfer expanding coolant into the coolant reservoir, and then allowing the coolant to transfer back into the radiator once the engine has cooled down. 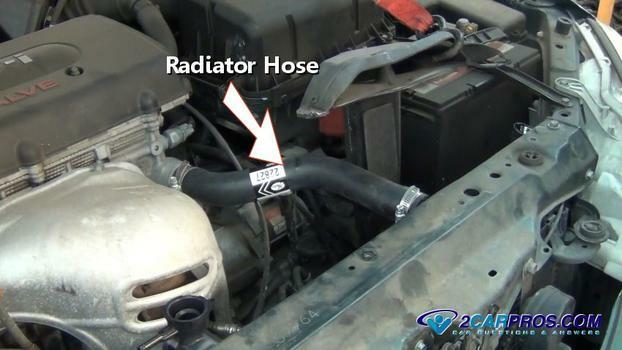 Step 5 - An upper and lower radiator hose is used to transfer engine coolant to radiator and back into the engine. 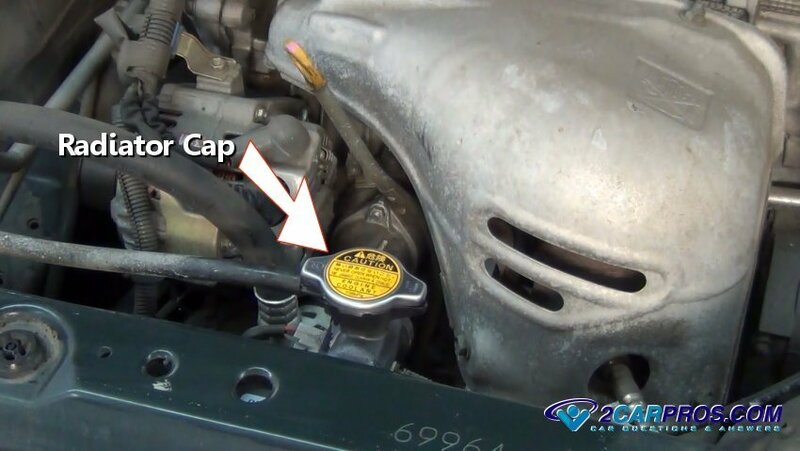 Step 7 - A pressure cap is used to maintain between 16 and 18 psi within the system to further aid the cooling systems performance. 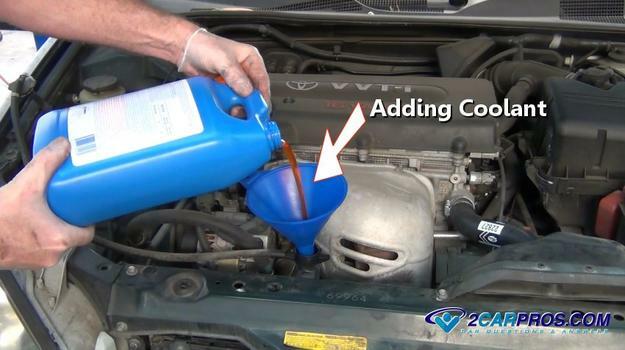 For every two pounds of pressure inside the system the boiling point of the coolant raises one degree. 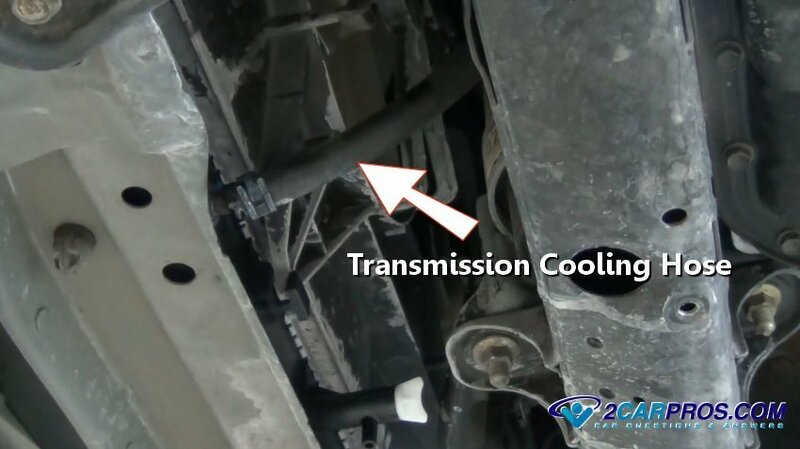 Step 8 - Vehicles equipped with an automatic transmission use transmission fluid cooling hoses (inbound - outbound) that connect to the fluid cooler built inside of the radiator. Radiators consist of a few basic parts, two tanks and the core. 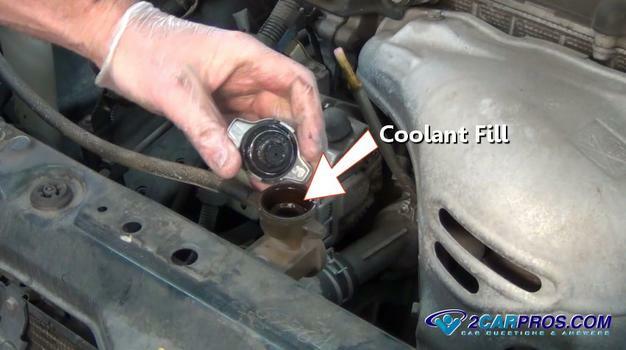 The radiator "tanks" located on the sides or top and bottom are used to attach upper and lower coolant hoses. 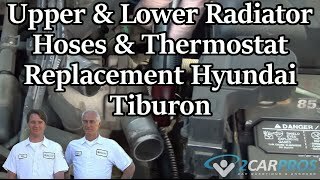 Vehicles that have tow options will sometimes incorporate an engine oil cooler into the radiator to help keep the engine temperatures at a safe level. Radiators come with different amounts of these tubes or “rows” as they are called in the industry to support various applications. Old radiators are recycled cutting down on heavy metals and environmental impacts. Through the years materials used in the construction of a radiator have changed dramatically. Older vehicles used a heavy brass construction, while newer vehicles use an aluminum core and plastic tanks. Brass radiators worked well for years, but material costs and the environmental impact of the materials used to solder them together (lead mixtures) have phased them out, newer lighter designs are clamped together with rubber gaskets. 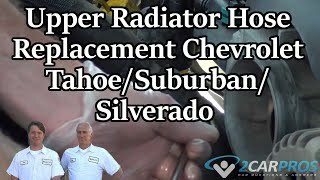 Radiators for performance applications are usually custom fabricated to the application and are made of aluminum tanks and cores to withstand the severe vibrations and heat.